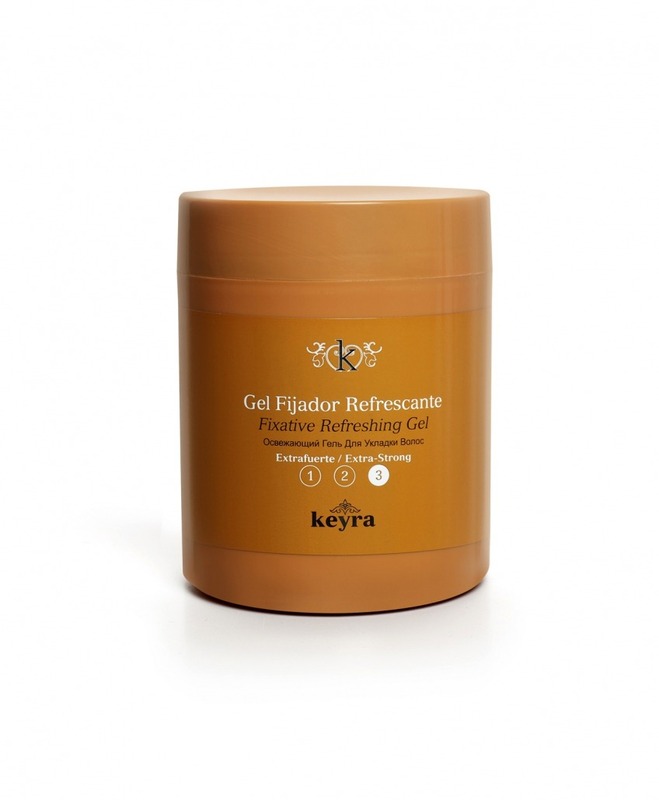 Extra-strong Fixative Refreshing Gel provides a pleasant fresh sensation during and after application. The formulation moisturises and holds the look at the same time. With silicones that condition, improve and boost shine. Delivers better finishes on trimmed ends, adding freshness and a pleasant citric aroma. Extra-strong – 3 out of 3 strength. Strong-hold gel for a perfect finish. The gelatinous texture makes it easier to distribute the product in the hair. Thanks to its formula the product leaves no residue in your hair, keeping it clean and shiny. Apply the quantity needed depending on your hair length to create the desired style.